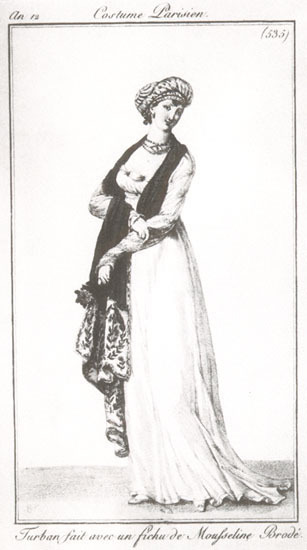 Long rectangular shawls were the key fashion accessory during the Neoclassical period (1790-1820). 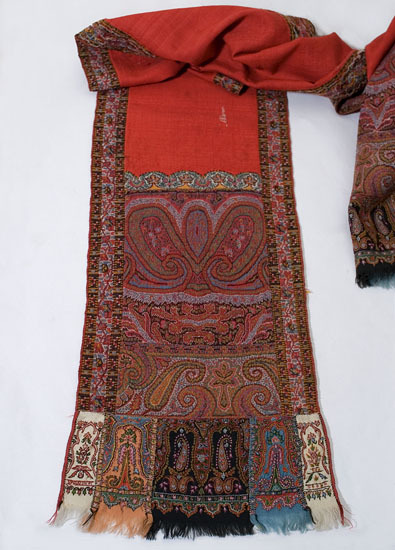 This superb period shawl was probably hand embroidered in Persia for the Western market. In the French fashion plate below, the lady is wearing a similar long shawl, softly draped and colorful like our shawl. The exotic pattern complemented plain white Neoclassical muslin gowns. 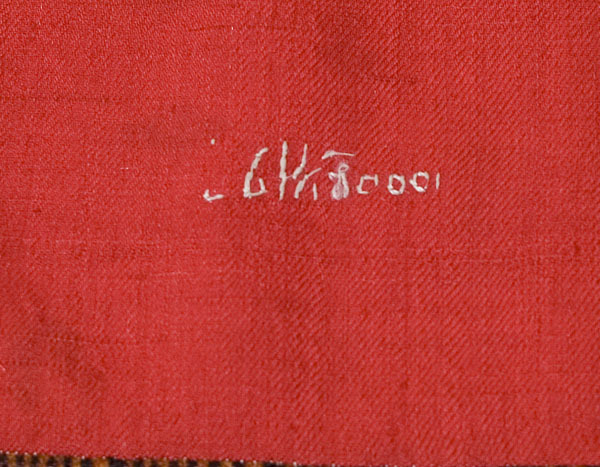 Made from fine red wool twill, the colorful shawl has a hand-embroidered signature by the maker. The sides and ends are bordered with hand-woven panels. 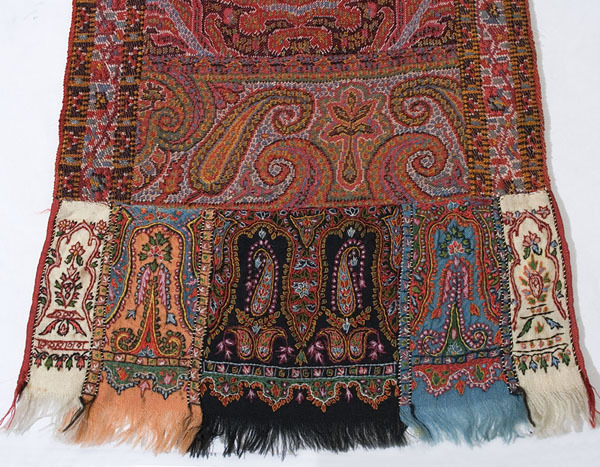 The ends are finished with different colored sections pieced together and hand embroidered with botehs and stylized flowers. 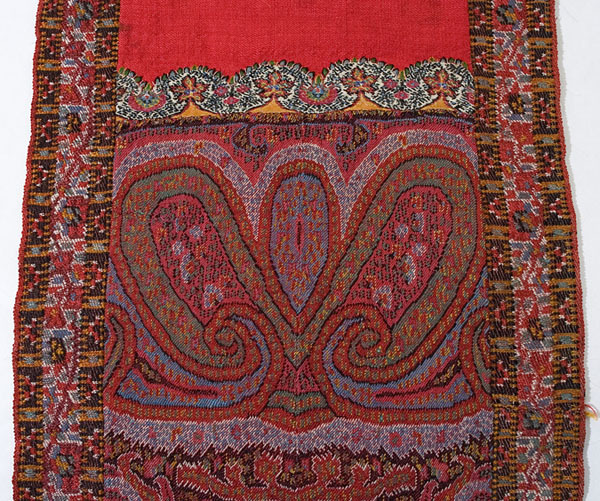 The boteh, known in the West as the paisley motif, is thought to be a representation of the growing shoot of the date palm. To the ancient Chaldeans (Babylon), the date palm was the tree of life, and the boteh represented its renewal. 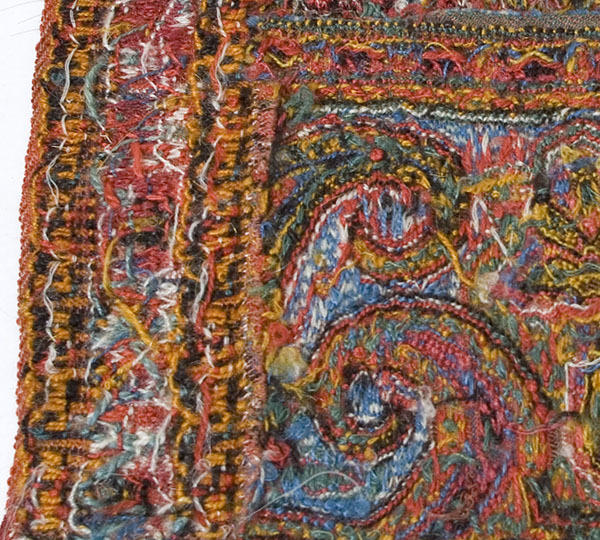 The symbol became an important element of early Indian textile art and appeared in hand-woven Kashmiri shawls of the 17th century. By the early 18th century, the boteh had evolved into a naturalistic style densely packed with flowers. 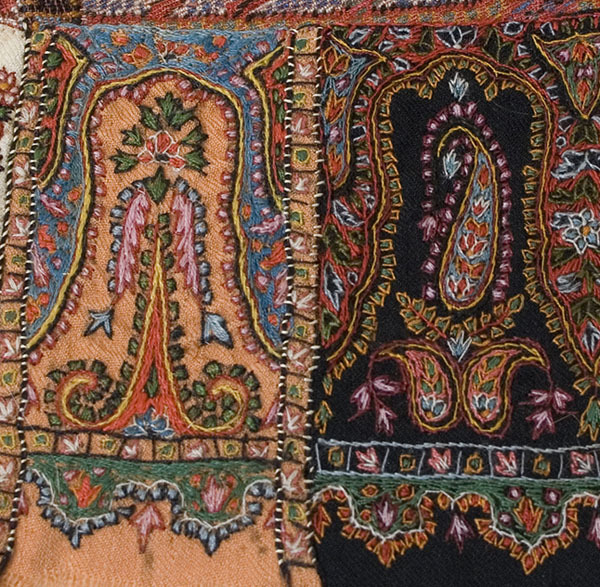 European artists adapted the the boteh to embroidery and print designs. Neoclassicism sought to revive the ancient Classical aesthetic. The movement cherished order, symmetry, and simplicity of style. What a contrast to the elaborate ornamentation of the Rococo style that preceded Neoclassicism! The condition is almost excellent. 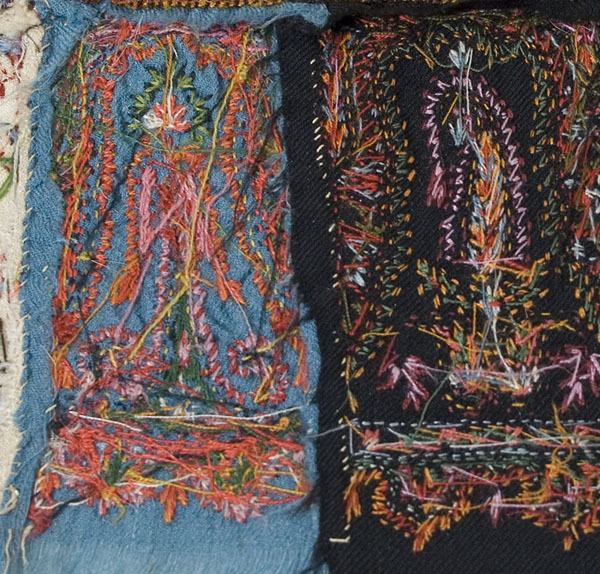 There is a small, well-done mend on one side border. It measures 9 1/4" wide by 87" long.